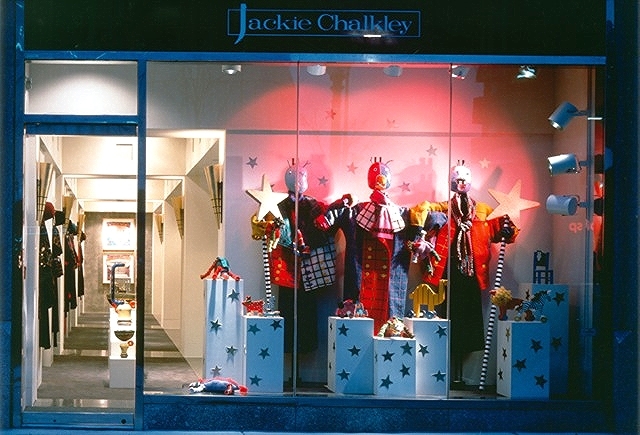 Using a gallery-like approach, the Jackie Chalkley retail stores featured artistically unique contemporary clothing, art-to-wear, accessories and decorative home furnishings. The stores were admired for their award-winning interior designs. 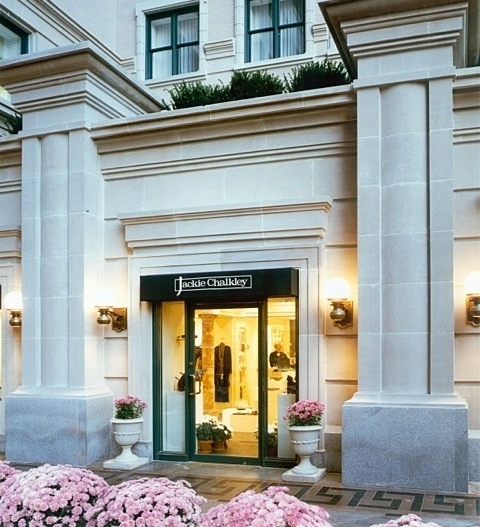 Using a gallery-like approach, these Jackie Chalkley retail stores, located in Washington DC, featured artistically refined contemporary clothing, accessories and decorative home furnishings. 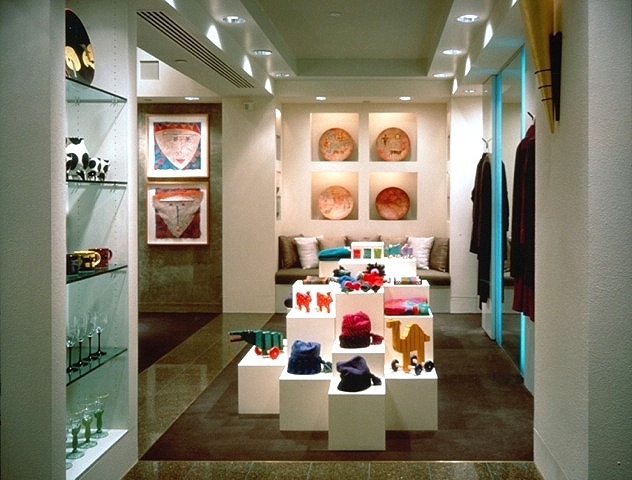 The store interiors were admired for their award-winning sculptural uses of space and the outstanding opportunities they provided for creative merchandising and a welcoming customer experience. Luxuriously upholstered piilow-lined banquettes and Billy Baldwin seating at sales counters added to the comforts provided by the carefully conceived interior designs.. Roku-fired ceramic lighting sconces, coated with 22K gold leaf, and stoneware architectural columns were custom made for the stores.